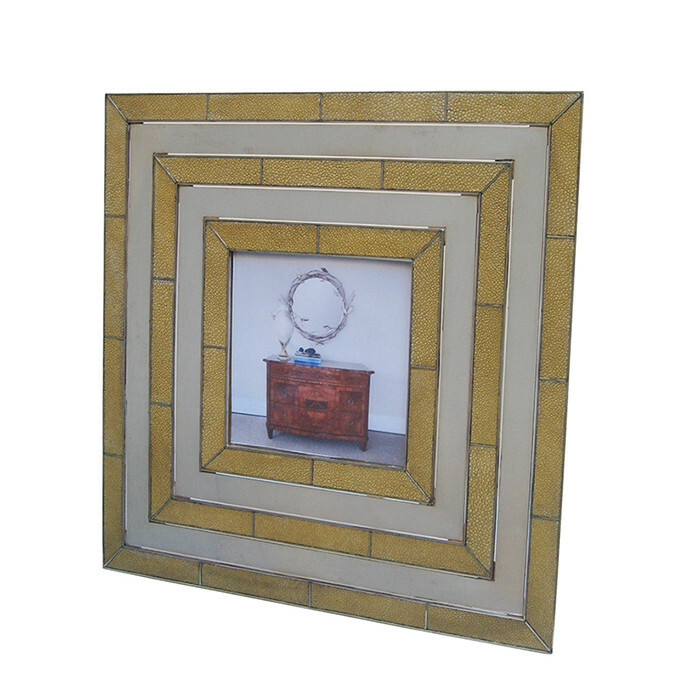 A Gabriella Crespi designed Modernist Picture Frame. Silved Bronze and Shagreen. Dimensions: H: 17½ W: 17½ Inches.